Clothing & Protection There are 16 products. 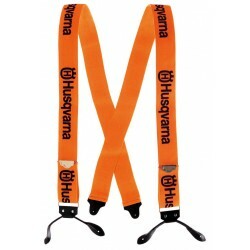 New HUSQVARNA braces with leather straps. 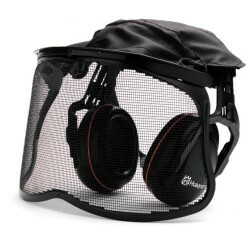 HUSQVARNA hearing protectors with mesh visor. 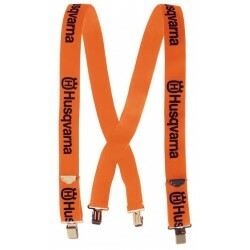 Genuine HUSQVARNA Technical Saw Protection protective gloves. Genuine STIHL leather belt available in two colours. A premium cowhide leather chainsaw glove from STIHL ideal for forestry and arborist work. A protective chainsaw boot crafted from leather. 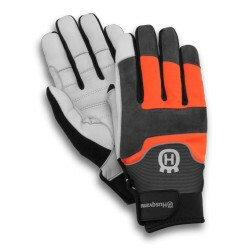 CARVER Professional work gloves in black synthetic leather, orange Spandex and neoprene. Genuine lightweight STIHL protective helmet.